Fae Wiedenhoeft -- Who Is Fae? 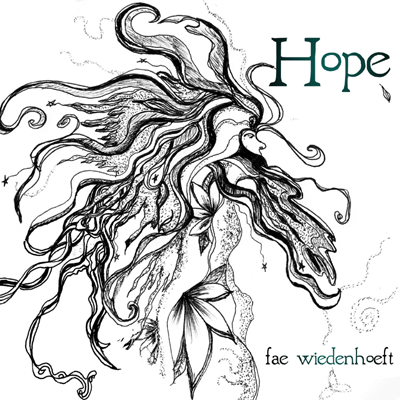 Fae Wiedenhoeft takes her listeners on a musical journey through history & tradition. Joan Baez, Joni Mitchell, Mary Black, & Sandy Denny, Fae's song stories are a must for fans of Celtic Folk!" Fae Wiedenhoeft (pronounced Wee-den-hauft) has been singing since before she could form words. She grew up on the wrongside of the tracks in the Chicago suburb of Cicero. Her family was musical and happy and they led a humble life. After years of private concerts in her backyard, singing into the top of a broom handle, for squirrels and friends, Fae received a Bachelor of Fine Arts degree in Musical Theatre Performance from Roosevelt University in the heart of downtown Chicago. During this time, she actively performed with professional and community theatre companies. Upon graduation, Fae was offered a contract to sing at the World Famous Buchart Gardens on Vancouver Island for three consecutive summers with a well known Celtic band, Kitangus. Her stay in British Columbia kick started her teaching and recording careers as well as prompted songwriting and many other music projects. Fae composed original music as well as performed on five records recorded, manufactured, and sold in Canada. Stateside, Fae has released over a dozen records so far and her studio solo album, Castle Walls, released in 2014, continues to receive generous airplay. Fae is also an award winning song writer. For a list of her awards please visit here. Fae briefly lived in Tulsa, Oklahoma in 2003 and met film maker and bass player, Adam "Captain" Chambers, who later became her husband. Together they created and hosted the Blue November MicroFilmFestival, which was an international showcase of film, art, and music. Fae also played throughout the greater Tulsa area and found her way back to the West Coast in 2006. Fae formed her Seattle based band, SeaStar, in 2007 with her friend Doug Hayman. Since her last name always seemed to create a pronunciation nightmare, an easy short band name seemed like the way to go. She tours with the this award winning group most of the year. Band members include: Captain Chambers and Michael Falcone. They have four studio recorded records as well as over half a dozen live and home-studio recordings. The band also has two DVDs showcasing their tours in Ireland and Scotland. In 2010, with master Egyptian tabla player, George Sadak, Fae arranged and recorded a Middle Eastern Christmas album called Christmas Tapestry - East Meets West, produced by Dena Sukaya of Ottoman Trader. The record has been very successful in the dance community and abroad. Fae loved working on this album as it was a great challenge to take traditional carols and arrange them with Middle Eastern rhythms, instruments, and players. Fae played with Victoria, BC, singer songwriter, Melody Benbow, in a Canadian duo called Syren from 1998 - 2015. Syren released two albums, "Waves to the Sky" and "Invitation". Highly influenced by Old Scots and Waulking songs, the ladies focused on traditional tunes while weaving in a few golden originals of their own. Their harmonies are of sibling quality and the duo played the Ren Faire circuits as well as Northwest FolkLife from time to time. Fae's studio, called Syren's Voice, resides in a 1923 train caboose. 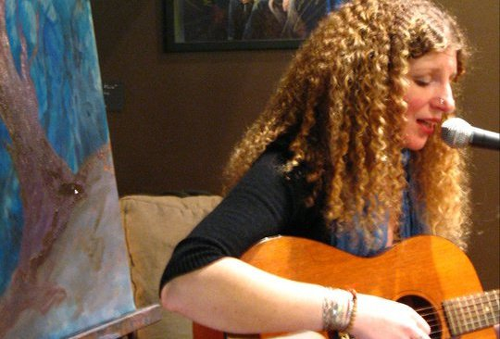 She teaches private lessons in voice, guitar, ukulele, bodhran, and tin whistle. Fae also offers songwriting and Celtic Studies classes. She engineers small recordings for students as well as hosts summer acting camps. Fae's passion for music and performing is deeply felt by her students. Her studio often has a wait list and runs with a roster of 20 - 35 students at a time. When Fae is not teaching or performing in the Pacific Northwest, Canada, or abroad, she is a wife, a vegetarian, a photographer, a painter, and a graphic designer. Her art work is often created for potential album covers for her yearly songwriting challenges. Her medium of choice is plain black ink on heavy paper. Fae has artwork displayed in three countries and has been published in two national publications. Please visit her bandcamp page to see more artwork. Fae is always up for a cuppa tea and a good chat as well as a thrilling storytelling session. She tours abroad every year and has a deep gratitude for this colourful and musical life. She enjoys hearing people's stories as well as soaking up history in ghost towns, ancient ruins, and cobblestone streets. Her humble beginning in life remind her to take nothing for granted and to always be up for an adventure! Fae loves to converse and often asks, "What's your story?' She sincerely hopes that folks live richly, fully, and to make it a good one.
. all content is copyright © 2003-16 jetbutterfly .